Let’s start with a brief recap of the history – I started learning about online business when I started selling at the age of 17 or 18 (can’t remember now exactly as I don’t have any records for that time) – so, nearly 12 years ago. As a teenager, with no family business background, I started from nothing, a blank page. I didn’t have anyone to ask for advice about the best way to get started. Back then blogging, social media and other, easily accessible platforms were non-existent. The only place to go for advice was websites and discussion forums. And if you landed on a bad one, you got bad advice and made bad choices business wise. Luckily I was stupid enough to start with PTC (paid to click), PTR (paid to read) and other similar programs. Why luckily? Well, because these programs were free to join and the only thing I wasted with them was my time, so no big deal. I just hope no one asks me to reveal how much I earned from them! At roughly the same time I also started reading about internet marketing and affiliate marketing. I was fascinated by the endless opportunities these money making systems offered but I was simply too young and too dumb to make anything of it. But I give a big thanks to that first experience and introduction into IM, as without it, I don’t think I would have the successful info product company I do today. Anyway, back to the year 2003 or so – I landed my first job in a warehouse. That was in summer, after my first year at university (I didn’t go back to it and THANK GOD for that!). The job was great, I actually enjoyed it very much and the pay was very good too (how much do you really need for partying @ the age of 19?) but all the time I was still thinking about a way to start my own business. I guess I’ve always had that entrepreneurial spirit as business has been something that’s interested me for as long as I can remember, right from the age of 6 when I made some extra pocket money selling homemade chips to family members! And seeing all those shop orders and boxes full of products (clothing, shoes, and accessories for Primark shops) really raised my interest in wholesaling, retailing and importing. Particularly importing as seeing all those boxes coming from China, I constantly wondered how much they were buying these items for to be able to sell them in-store for such low prices? But at that time I had no money for wholesale as I spent all my income on partying and paying bills as I was living on my own. Also, very few people know this but I was in huge debt at that very young age. Yes, it’s unbelievable how a 20 something year old can have £30k debt and no asset value whatsoever! I bought a new car, got a super expensive Pioneer DJ set thinking that I’ll become a DJ, took several small loans to buy all kinds of stupid gadgets and of course – maxed out my credit cards. So to sum it up, the bulk of my salary went to paying my bills and debt. That’s when I started doing some trading on sport exchanges (such as Betfair) and I become highly successful with it. I made a nice second income but soon realised that day trading is simply too stressful and boring. I couldn’t see myself doing it day in day out the rest of my life. So I started looking into wholesale again. I started with eBay and the ‘hot deals’ concept which simply involved buying discounted/on sale items from online retailers in the UK and USA to re-sell back on eBay. Back then this strategy was highly profitable and very easy to execute. There was no Best Match, DSR ratings and other obstacles eBay traders face these days. It was much easier to make money on eBay. Made £500+ p.m. from these alone! 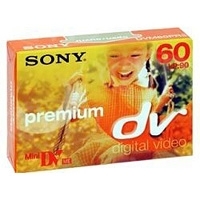 I remember one of my first super profitable deals was dropshipping Mini DV SONY tapes directly from Amazon to eBay customers. Amazon was running an on-going promotion for these tapes at a ridiculously low price. I think it was 5 or 6 quid per pack of 3. And on eBay these where selling like hot cakes for £14.99 + P&P all day long! And that was basically the lowest price. I made a clear profit of 10 quid per pack and regularly sold 3-5 packs per day for several months straight. This was enough for me to get the taste of BUYING and SELLING and I fell in LOVE with this business from first sight! And that’s when I started my long, arduous and full of mistakes business journey! But ok, Andrew – are you a millionaire now? No, I’m not. At least not in terms of my asset value. Because I don’t want to be. Yes, as funny as it sounds, I don’t want it BAD enough! 1) Money doesn’t make you happy! Ha-ha I hear you say, who said that? Yeah, yeah – only poor people say this, right? No, not always and I truly believe that money doesn’t make you happy. In fact, when I recall my life’s most fulfilled, happy & funny moments, they involve moments of no monetary value whatsoever! 2) I don’t want to change who I am! I know that there are many rich people who are totally awesome, cool with their lives and spending habits. But I also know people who changed totally after they became wealthy (and not in a positive way). I don’t want to be one of them. 3) I don’t want to lose my friends! Money changes everything and it also directly affects your relationships. We now have a few very good family friends (also families with young kids) who we spend a lot of time with and I wouldn’t want to lose that for anything. Why would having more money in my pocket change this? Because IF I move to a new level (income wise) while my friends stay where they are, chances are we won’t stick together for long. As much as I would like to think that money wouldn’t change our relationships, it would. And I don’t want that to happen. 4) I don’t want to work that hard! To make BIG money, you have to work real hard. I mean – super hard! I’m already working long hours during the work week but to go to the next level, I would have to work even more. I just don’t want that! Life is NOT all about work! I don’t want to be that person spending most of my productive years working day and night just to wake up at the age of 50 or 60 to see life has passed me by in the blink of an eye! 5) Life is too short to worry about money! There are people who are crazy about MONEY! All they can think about is money, money, money! The more the better! I was in a similar mind-set when I was young and dumb. And that’s cool, many people think that way. But as you grow up you realise that it’s NOT all about money! In fact, if you can program your mind with other values, money soon becomes just a tool to help you fulfil your other goals and NOT what you’re actually working for. And when you see a tragedy in your family for example, you really start thinking – money is the last thing you should be worrying about. Life is simply too short to spend it chasing your monetary goals. As we all know that there will never be enough of it! 6) I don’t want to worry about money I could lose! When your bank account grows, you have to start thinking about how to invest that money so inflation doesn’t eat it up. That means getting into real estate, stocks or using other investment vehicles to keep your assets safe and growing in the long term. This creates a lot of stress, especially if you’re investing in stock markets! And I don’t want that! That doesn’t mean you shouldn’t invest money to grow your assets, not at all. But I don’t want my life to revolve around worrying about stock prices! That’s why I’ve invested with eToro as the concept of copying the best traders out there really stood out to me. And I have also invested in some rental properties, which in my opinion is one of the best and safest forms of investment – particularly if you’re able to buy properties without borrowing money. 7) I want to be a good example for my kids! I want them to see that I’m working to make money but at the same time, I don’t want them to see that I’m never at home. I want to teach them that everything is possible in life with hard work BUT that life doesn’t revolve around money! I also don’t want our kids to see that we’re spending money irrationally, which almost always comes by default when you become truly rich. 8) I want to spend more time with family! This is actually the most important reason out of all! We spend A LOT of time together every day and I want to keep it that way. I want to see how my kids grow up, I want to play with them every day and travel with them as regularly as possible. Working more hours on business would take some of this time away. I just don’t want that. My dad was working long hours when I was a young kid and he didn’t spend much time with us – I remember that very clearly. I won’t go in to detail on how that experience has affected my life but one thing I know for sure – I will never do that to my kids, NEVER! I would rather cut my income by half than take hours away from the time I spend together with my wife, kids and family friends. 9) I want to be fit & healthy! Working long hours in front of PC doesn’t really help with this and as a person who has struggled with weight issues since the eight of 10, this is something I really have to think about. If I worked even longer hours, I would have to sacrifice my sporting activities which would directly affect my overall health. Not talking about the STRESS which in my opinion is the number 1 problem. When you’re stressed out, your health really suffers. I got my first grey hear at the age of 22 or 23 and that was all because of the stress I was going through at that time. I simply don’t want to be that person who is always stressed out, screams at their kids and needs a 6-pack every evening to calm down. Why would I!? I could list many more reasons but I guess these are the most important ones for me. But Andrew, what about all the good things money can buy? Like…. Ok, take out public recognition from that list as I have never really wanted to be a public person. Well, too late of course as my face is now plastered all over the internet, lol! I’m still trying to protect my privacy though and publicity has never been a goal for me, it’s just something required to run an online business nowadays. Freedom – I am FREE because I don’t have to think about money all the time! I make enough money to provide a comfortable lifestyle for my family plus save up for my retirement plan! I have lots of free time I can spend as I want – that’s what I call freedom! Travel – I do travel! I could travel even more but at the moment, with 2 small kids in the house, it’s really not that practical to travel a lot (and more money wouldn’t change that). Yes, I’m not flying business class, and yes, I’m renting budget class cars and staying in “normal” hotels BUT that doesn’t affect the quality of my trips whatsoever! Do you really think that extra room in your hotel makes the trip so much more enjoyable? Well, if all you think about is luxury, then yes. But I’m not worried about that at all! Health – the less time I spend working, the more time I can spend on sporting activities, cooking healthy food (I LOVE cooking!) and in general – be more active outside in the fresh air, which again directly affects my health. So I’d say money has nothing to do with this – if anything; with more money comes more stress which does quite the opposite and your health suffers in the long term. Fancy house, car and other gadgets? I have a house, I have a car and I have gadgets. And I have ZERO DEBT! Do I drive a Porsche? Nope. Do I have a luxury villa? Nope. Do I have a 120in plasma TV? Nope. Do I need all that to be happy and live a fulfilled life? NOPE! In my opinion a £20k car works in quite a similar way to a £100k car! It gets you from point A to point B in pretty much the same way, on 4 wheels (no, they don’t make flying cars yet). And that’s all I need. In fact, Porsche would be a really stupid choice for me as the way we pack up when we go on trips requires a wagon as minimum (and that’s what I drive – a Toyota Avensis wagon). I won’t start on gadgets. At one time in my life I was buying all kinds of stupid gadgets and as we all know, they mostly end up gathering dust on shelves. Yes, I have a iPhone, iPad, MacBook and lots of sporting equipment, airsoft and paintball equipment but relative to my income, it’s a small percentage of my yearly spend. And I would never buy a 120in plasma screen for £20k, NEVER! It’s all about how you program your mind – if your values revolve around a luxury lifestyle, expensive cars and gadgets, then you really need to do whatever it takes to reach those goals. OR simply re-program your thinking and start enjoying your life right now. So it’s not like I’m really missing out on anything. This doesn’t mean I’m saying money isn’t important or that I don’t dream about stress free days spent on a lonely island on the Pacific Ocean. And I’ll be the first to admit that I make more money than the average full-time wage. So yes, you need to reach that sweet level – that spot where you can enjoy your life but not over-work yourself at the same time. For some it will be just £2k a month, for others – £5k or more. But you don’t need MILLIONS to live a fulfilled life! With a £5k – £10k monthly income, in my opinion, you can have EVERYTHING while keeping yourself out of all the negatives a super-rich lifestyle invariably brings. That’s just my view on this of course and I can totally understand that other people will have a different opinion. By the way, I would love to see your comments below this post on what you think – what kind of monthly income would sort your life out? There are hundreds of so called ‘lifestyle approaches’ these days, mostly promoted by self-made bloggers like Tim Ferris with his famous 4 Hour Work week. While it’s a great concept (especially if you like dreaming about a PERFECT LIFE), I don’t think it’s 100% viable. No disrespect Tim but working just 4 hours a week on a business will never result in great returns. If you spend just 4 hours on your business a week, you’ll never be a leader in the niche you’re working in. I highly doubt Tim is working just 4 hours a week nowadays anyway as it takes a lot of time to write blog content and do all that PR stuff. But the whole concept of outsourcing, business optimisation, regular vacations, remote working really WORKS and can be part of a happy and fulfilled life that you strive for. But until you reach the stage where you have a super profitable company with employees who take care of the day to day tasks, you won’t survive working just 4 hours a week. 20 hours? Yes, that’s more manageable and real and is something I’m striving to achieve. 20 hours is actually a lot IF you really make them as productive as possible. You’ll most likely get more things done in such a 20 hour work week than people who work full time 40 hour weeks. Ideally, Friday should be part of a 3 day weekend. This makes a HUGE difference! When you have 3 full days off, you totally get off the work (STRESS!!!) and go back way more productive on Monday! This also makes the work week just 4 days which sounds so much better than the current 5 day work week. I’m not a politician but if asked, my vote would go to a 4 day work week! The other lifestyle concept I have recently got into is a blog called the Mr. Money Mustache (there’s also a lively forum on that site) and it’s something I highly recommend you check out as it could totally change your spending habits and the way you view your finances and will show you a clear system to follow to reach financial independence in a relatively short time. Well that’s it – this is MY story and my take on the whole becoming a millionaire thing! I remember when I was younger, I thought that becoming a millionaire was THE ONLY way to go forward in life. But with kids, family responsibilities and simply by getting older, people change. At least many people change, including me. My ultimate life goal now is to life a happy, fulfilled life spent with people I LOVE! And with or without a million, it doesn’t change a thing. What’s YOUR STORY and ultimate goal? Post your story in the comments below and one lucky commenter will win a 25 quid gift voucher from Amazon to spend on all the cool books available on this topic! Some very wise words in this article, I don’t want to be rich either, I just want to be able to pay my bills comfortably. Hopefully EAB can help me achieve that. Anything is possible Ben, if you really want it. Just set a goal and do whatever it takes to reach it! Many Thanks for your kind words and it’s great to hear you find my blog valuable. Bro~ thanks for sharing your NICE story. I just wanna say its TRUE! I completely agree to you! WELL said! Hey nice story and agree on most stuff. To me being a good muslim man having faith means everything then money. So yes love god family then materialistic stuff afterall you won’t take it to your grave. Thanks for your comment Sharaaz! What a great story and one I would like to emulate. I can only dream of earning £5k – £10k a month at the moment though. I would be more than happy to reach that level. I just want one thing in my life to be succussfel at. Ive taken Voluntary Redundancy so my last day at work it 31st Oct. I would love to have my own ecommerce business and not have to work for someone else again. Ive got a few months to try and come up with something but even if it takes longer I may just work part time until I can get something going. The sooner you realize that EVERYTHING in life is possible, the sooner you’ll reach your £5k – £10k a month goal. And it’s not a cliché – you CAN actually achieve anything you want in your life and all it takes is persistence working on your goal. That;s it – pick a goal and just keep working on it until it’s done. Its fantastic that online activity has made you debt free. Once you reach that status I can understand how 5K a month is enough . But with the price of houses you need much more income than this to be debt free . By the way I am now on Listing of your Ebay course , I must say I am impressed with your delivery, I think you could have a future in instructional material. Have you ever thought about doing a Maths course for those who have difficulty in the subject.? Yes, of course, house is the most difficult part but even then, with a saving rate of 50%-70% a month you can pay mortgage off pretty quickly. Also, mortgage is that one debt position that’s actually ok to have, especially with current super low rates. It actually would be stupid to pay off a mortgage @ 2% rate when you could invest that money in a rental property and make 8% per year. Great to hear you’re enjoying the EAB course! Sure, feel free to ask any questions you may have on our members only forum. I must say Andrew I completely agree with basically everything you’ve said and it’s funny how your journey so closely mirrors my own from the blogs you read, to the evolution of your thought process, down to your investment in rental properties. I am also a fellow Mr Money Mustache follower and Primal Blueprint reader. These are the examples of the blogs that have helped me establish my own set of principles by which I live. Another blog I loved was Zen Habits. Learning to be okay with how things are and opting out of competing with others for money, material goods and social status. It’s not weak if you don’t always want more, it’s a great strength to be able to reflect and appreciate what you have. Many of us (me included in the past) fall into the trap of “I’ll be happy when……”. With “when” usually being some arbitrary target in the future, which of course when you reach, doesn’t result in a permanent state of happiness, it just results in creating another goal. I think happiness is just a general plateau of contentment that you get from living slowly and taking the opportunity to appreciate life’s pleasures. A massive game changer for me was the concept of letting go of desiring material things. I love the idea of constantly getting rid of my possessions – living in a state of constant optimization (as Mr Money Mustache would say) where you get rid or give away of what you don’t need. Where every time you don’t buy something unnecessary you’ve achieved a mini victory of sorts because you haven’t burdened yourself with clutter at the expense of your freedom. My ultimate goal is simply to have the freedom to determine what I do each day (i.e to work completely for myself) and spend as much time as possible with friends and family. Many Thanks for sharing your story! Totally agree with you about letting go of desiring material things – things DON’T make us happy! In fact, they just clutter our minds with unnecessary stress which doesn’t do any good for us. Have been there, have done that.